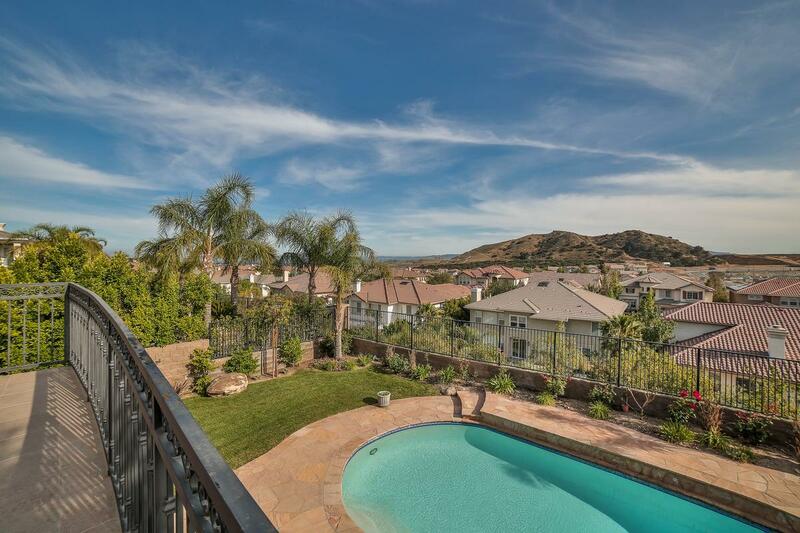 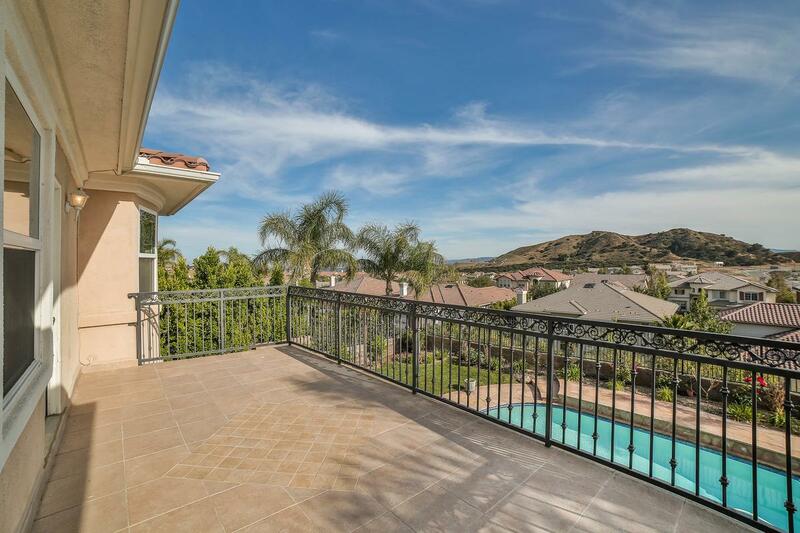 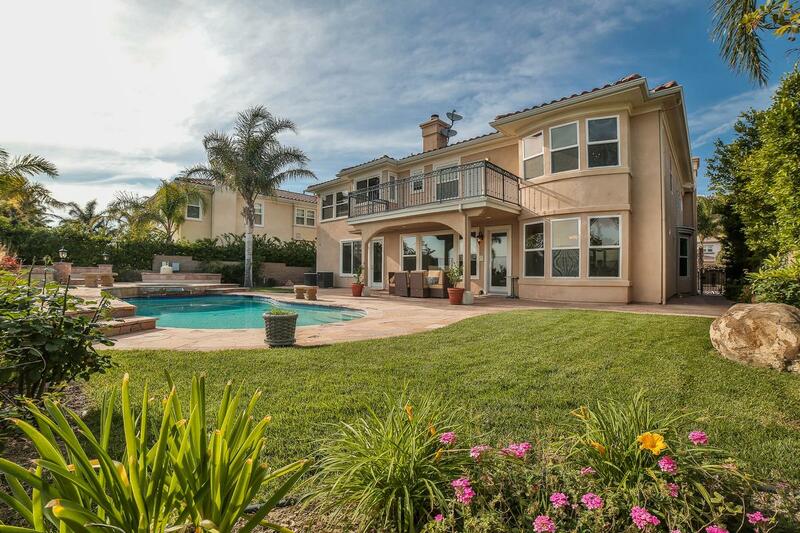 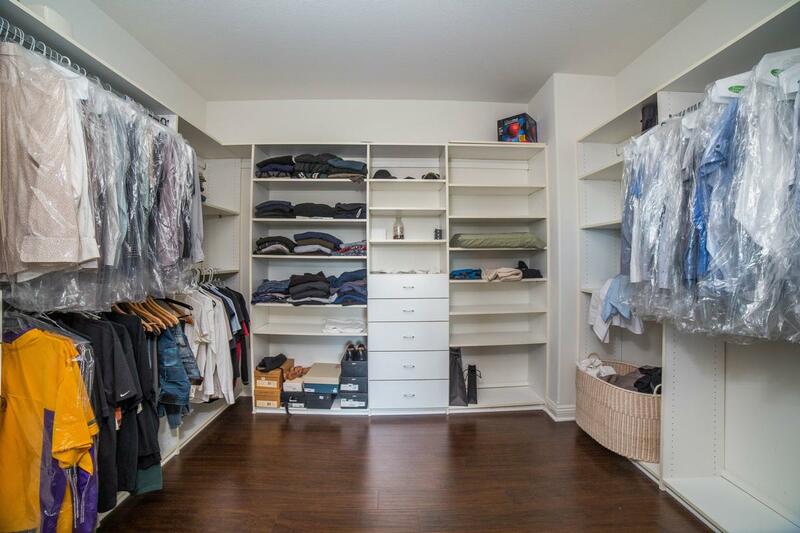 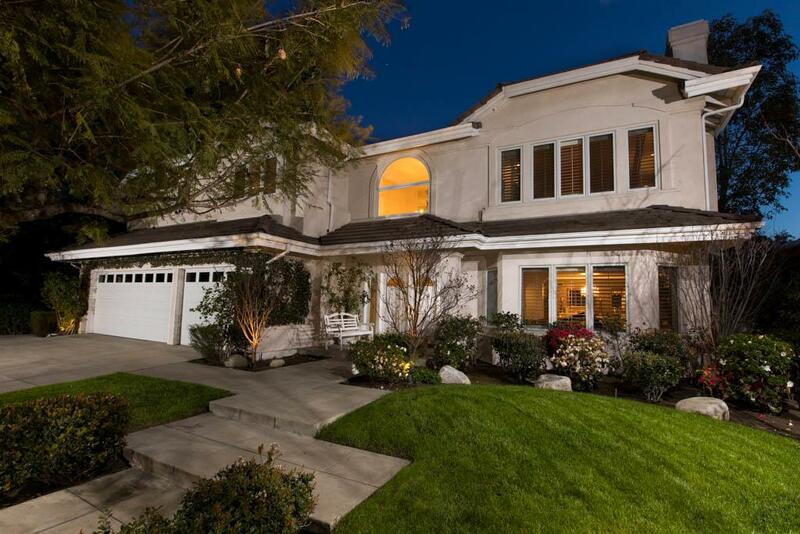 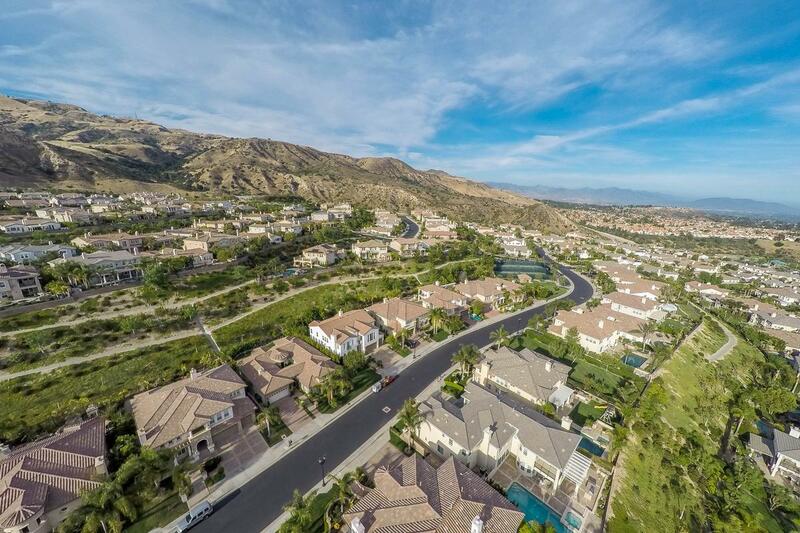 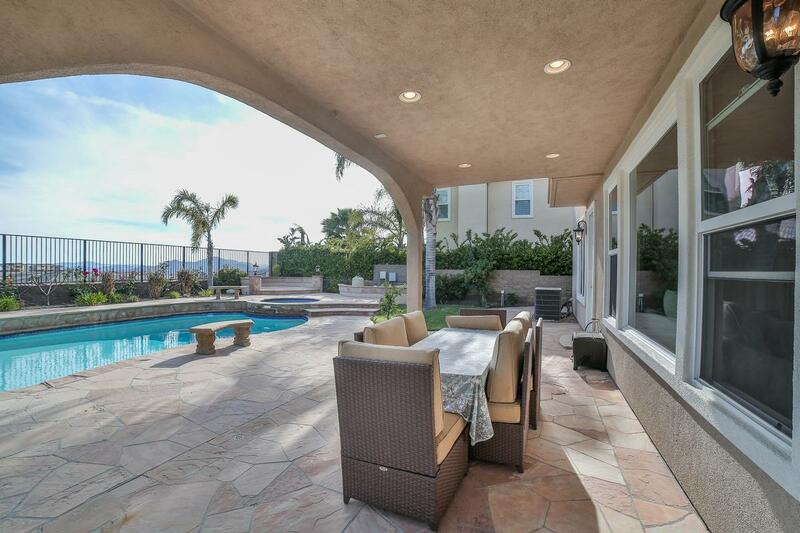 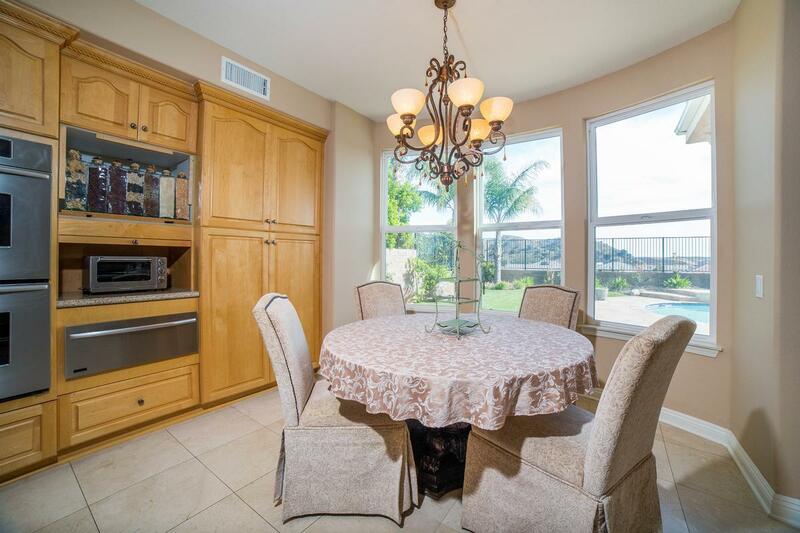 Welcome to this prestigious estate in the exclusive 24-hour guard-gated renaissance community of Porter Ranch! 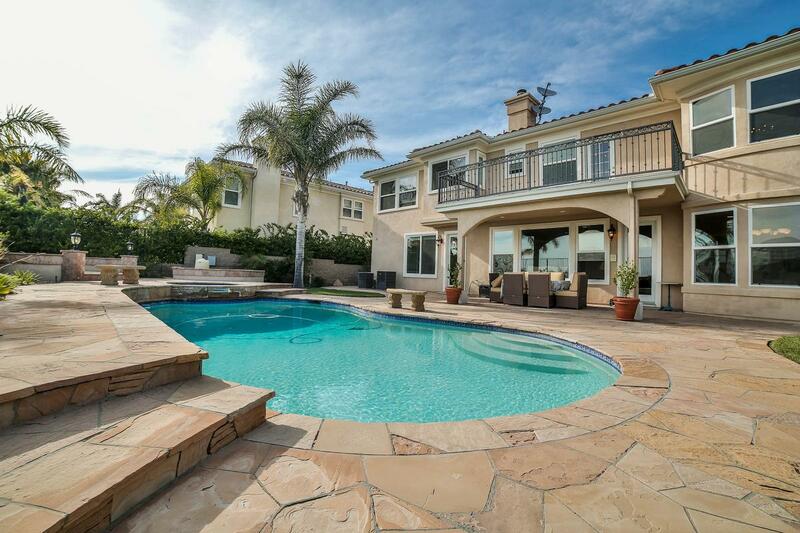 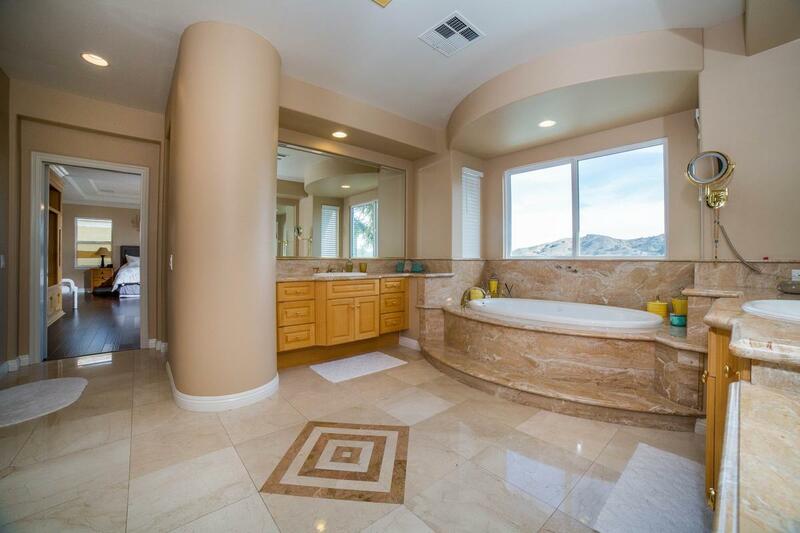 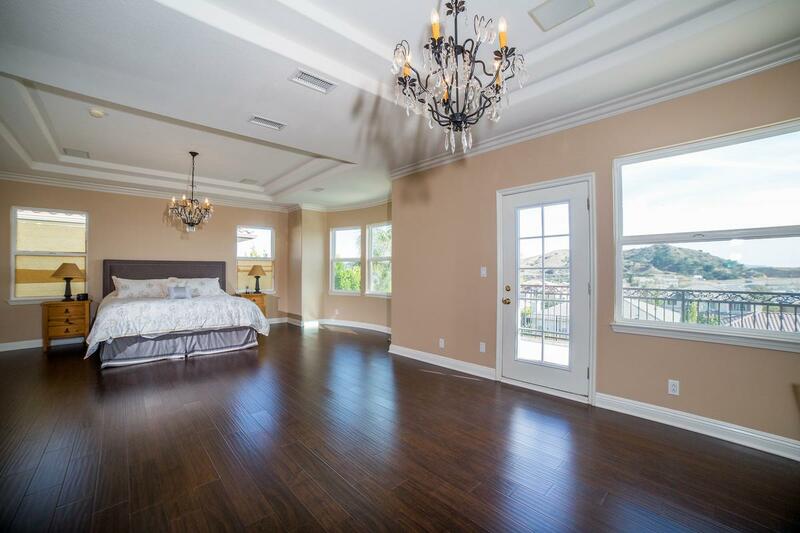 This stunning five bed, 5.5 bath home offers over 4,700 square feet of elegant living with breathtaking city and canyon views. 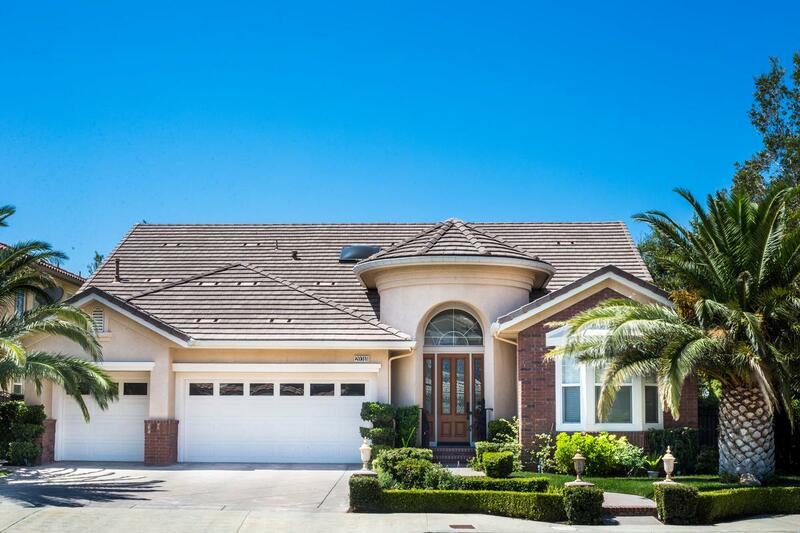 Enter through the custom double doors into the grand foyer with soaring ceilings, sprawling wrought iron staircase and custom lighting. 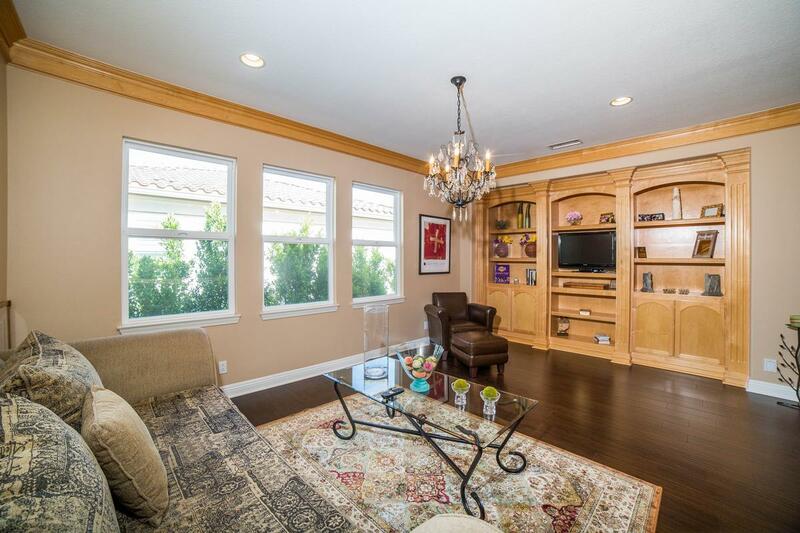 The formal living room is accented by a tasteful fireplace, abundance of windows and natural light. 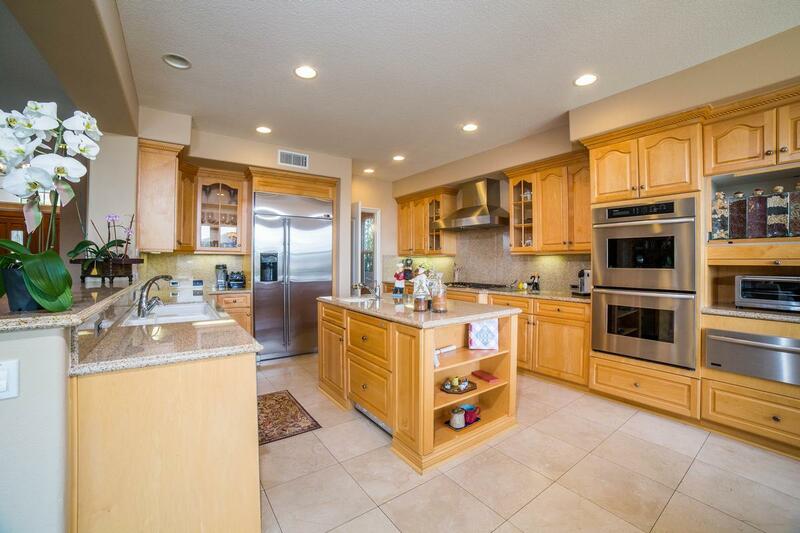 The gourmet kitchen features granite counter tops, center island with sink, double oven, stainless steel appliances and breakfast nook. 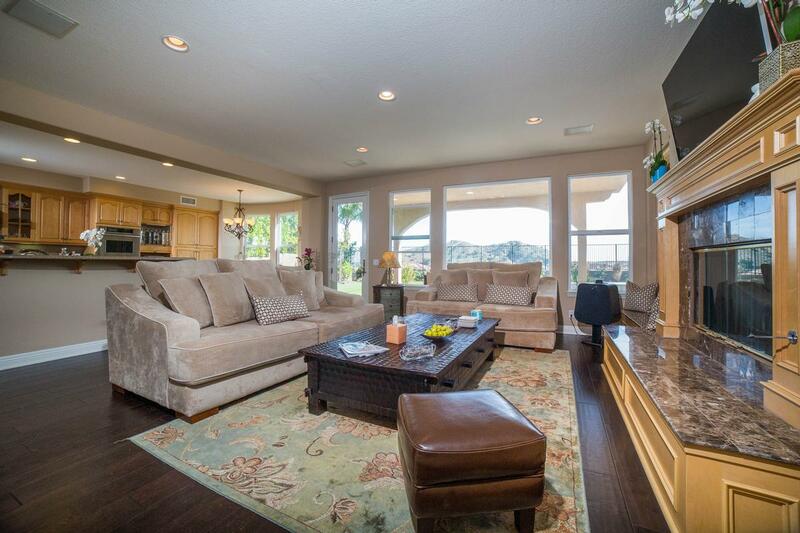 The spacious family room is great for entertaining with surround sound, built-ins, and an oversized granite fireplace. 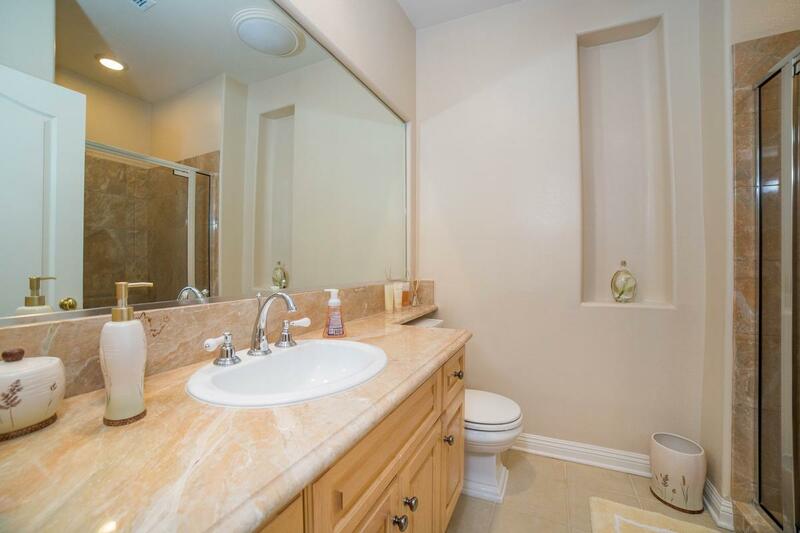 There are two downstairs bedroom with en suite perfect for in-laws or guests. 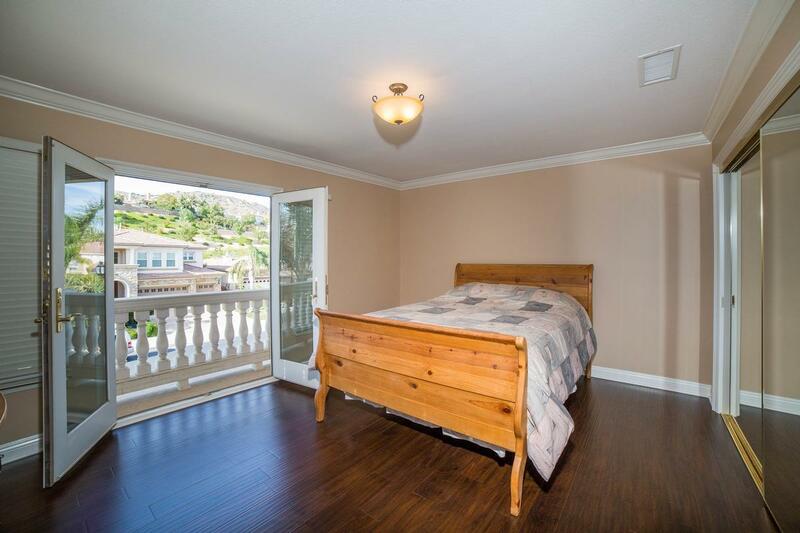 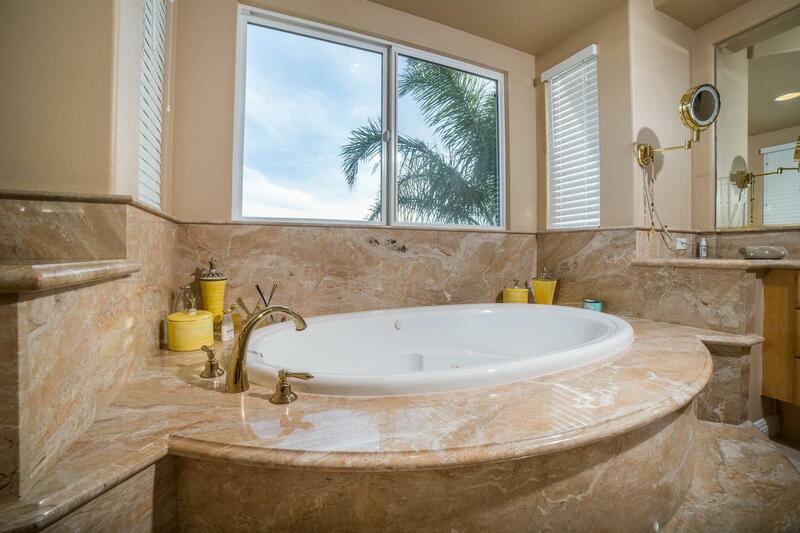 Upstairs you will find a large master suite with sitting area, large deck with views, surround sound, en suite with double sinks, soaking tub, separate shower, large walk-in closet and private room off of master suite with its own closet. 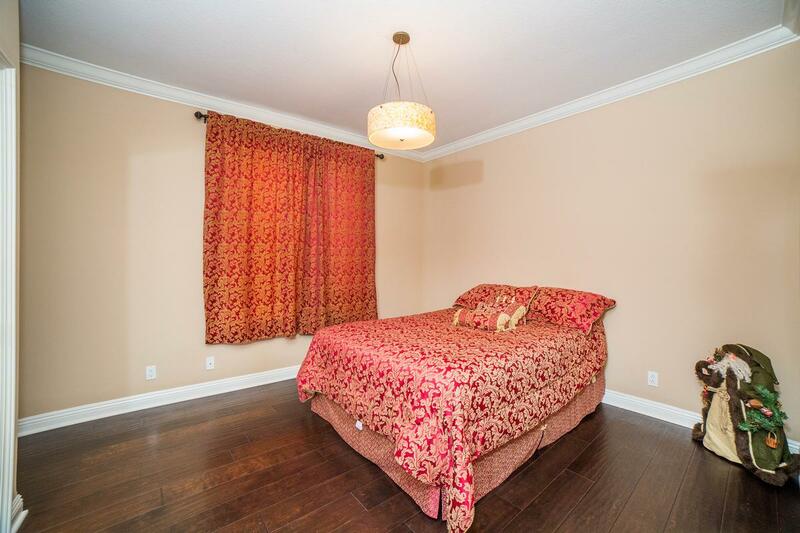 There are three additional spacious bedrooms all with en suites and an open loft with built-ins. 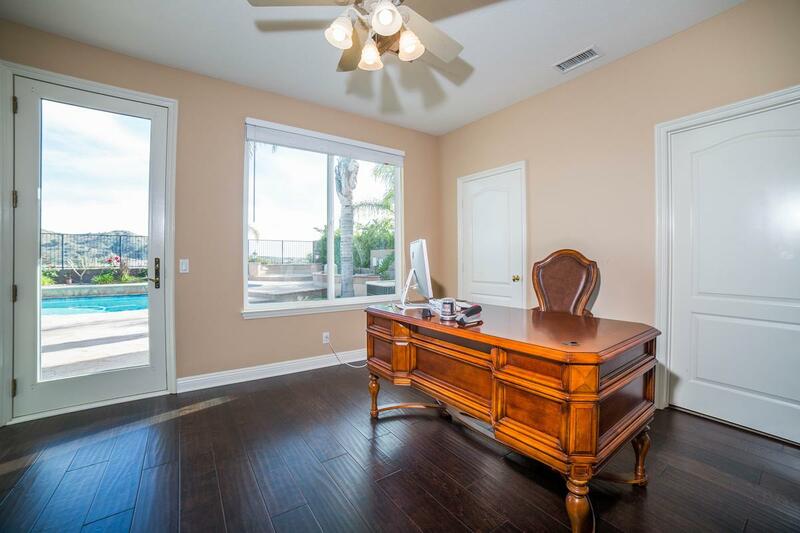 Other features include formal dining room, crown moldings, central vacuum system, wood flooring, laundry room with sink and three-car garage. 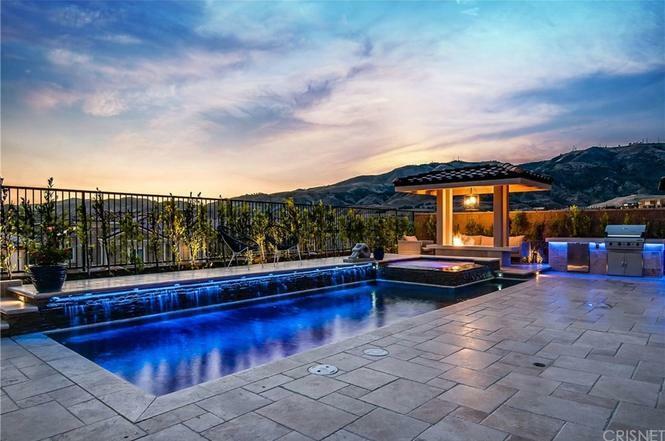 A true entertainer's paradise the rear yard offers a pool, elevated spa, custom decks, covered patio with recessed lighting, grassy area and gorgeous views.